In conjunction with Land Forces 2018, DST has convened a complementary event called: International Conference on Science and Innovation for Land Power 2018 (ICSILP 2018) to be held on 5-6 September in Adelaide. ICSILP is for defence researchers, industry professionals and academics interested in transforming the military land force through science, technology and innovation. The conference will focus on: Innovation through Technology Convergence for Land Power with topics covering Trusted Autonomy for Land Forces, and Technology Convergence and Innovation. ICSILP 2018 will address the question of how technology convergence, innovation and science can modernise land forces to become more agile and potent in the challenging environments of land operations, and survive and counter emerging physical, electronic and cyber threats. The conference will include invited and technical presentations, interactive sessions, and a panel discussion with well-regarded national and international defence science, industry and military representatives. The Program for ICSILP is now available. Australian Chief Defence Scientist Dr. Alex Zelinsky will welcome delegates on Wednesday 5 September, before Minister for Defence Industry Christopher Pyne opens the event. They will be followed by a host of speakers on strategy, doctrine, technologies and issues, including Chief of Army Lieutenant General Richard Burr, Deputy Assistant Secretary of the Army for Defense Exports and Cooperation (USA) Anna Cataldo and the Head of Land Capability for the Australian Army, Major General Kathryn Toohey. One of the conference's major drawcards will be the ICSILP Panel discussion with the theme: The Future Soldier. The full program can also be viewed here. Registration is available via the Land Forces website and fees apply. Interested delegates can register to attend the Conference and separately purchase a ticket to the networking dinner held on the evening of Wednesday 5th September 2018. 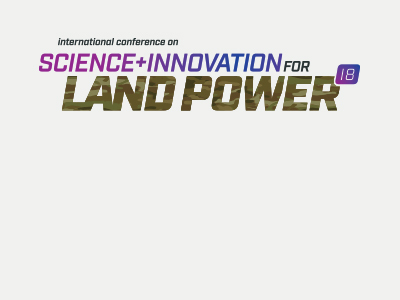 Purchase tickets at the Land Forces website and then select the International Conference on Science and Innovation for Land Power from the Conferences choices list. For queries about the conference please email DST Events team. All papers presented at ICSILP 2018 are available on the ICSILP Abstracts and Papers web page.